Freak out your family and friends with our fantastic Halloween contact lenses which will really make you stand out. Pair these scary contacts with your frightening costumes and special effects makeup. Choose from Dracula and Terminator to Dragon and Wolf eye contacts which you will love wearing to your parties. Everyone will be surprised with your brand new look and will want a pair for themselves to wear to the next party they go to. Get a crazed horror movie look this year with our creepy blood shot contact lenses. These white lenses with a red vein design looks realistic and very haunting. With a life span of 1 year once opened and a water content of 38%, these contacts made by Colour Vision will provide exceptional quality, immediate freshness and amazing hydration. 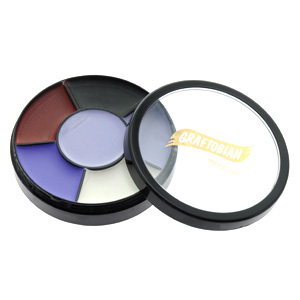 Everyone will be shocked with your quick transformation and will be amazed with these fabulous lenses which cover up your natural eye colour. Pair these with our scary Skitzo fancy dress outfit and bright arterial squirt blood which will definitely get everyone talking. 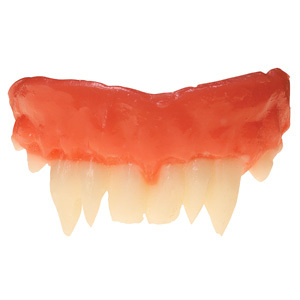 Open up your eyes with these scary Dracula fangs contact lenses which will look great teamed with a creepy vampire fancy dress outfit and matching vampire teeth. Everyone will be impressed with your fantastic new look and will love a pair of these affordable 1 year life span contact lenses. Your eyes will always feel comfortable, fresh and hydrated thanks to the 38% water content. Make a bold statement and show off these attractive yet scary lenses perfect for parties, fancy dress and special occasions. This entry was posted in Contact Lenses and tagged Blood Red Contact Lenses, Contact Lens, contact lenses, Halloween contact lens, halloween contact lenses, scary contact lenses, Vampire Contact Lens, Vampire Contact Lenses, Vampire Contacts, Vampire Eye Lens, Vampire Lenses on September 22, 2011 by Piercing Guru. We may have to wait a few more months until the release of Twilight Breaking Dawn Part 1 but our Twilight contact lens sets make it easy to recreate the Twilight look. There are two main types of Twilight lenses, based on the different eye colours that vampires have in the Twilight Saga. In both the movie and novels the ‘good’ vampires have golden eyes, while the ‘bad’ vampires have blood red eyes. For the most arresting eyes I recommend these two Twilight contact lens sets. These lenses have beautiful realistic shading and really stand out. The black detailing also helps to define your eyes and make them very noticeable. Both sets include a lens case, solution and tweezers – everything you need to clean and care for your Twilight lenses. This entry was posted in Contact Lenses and tagged Costume Contact Lens, Costume Contact Lenses, Costume Contacts, Costume Lenses, crazy contact, Crazy Contact Lenses, Crazy Contacts, Crazy Eyes, Crazy Lenses, Vampire Contact Lens, Vampire Contact Lenses, Vampire Contacts, Vampire Eye Lens, Vampire Eyes, Vampire Lenses on May 14, 2011 by Piercing Guru. Halloween is just a couple of weeks away, so if you’re stuck for a costume I recommend taking at look at our new Twilight contact lenses. Twilight Halloween costumes look great and they are really easy to achieve. Most of the characters wear quite simple â€˜normalâ€™ clothing – the key to getting the costumes right is a pair of Twilight contact lenses. In the world of Stephanie Meyerâ€™s Twilight, eyes are an important indicator of whether someone is a vampire and what sort of vampire they are. The â€˜goodâ€™ vampires have golden topaz eyes, while vampires that drink human blood have bright red eyes. We have two new Twilight contact lenses, one for the good vampires and one for the human-eating vampires. These Bella Twilight contact lenses are ideal if you are dressing up as a â€˜goodâ€™ vampire. In Twilight the good vampires drink animal blood so that they can live alongside humans. When the human lead character Bella becomes a vampire in the third Twilight novel, her eyes look just like these contact lenses. These Twilight contact lenses have a beautiful golden colour with realistic shading and a dramatic black outer ring. They are more detailed than our previous Twilight New Moon Contact Lenses. To dress up as Bella as a vampire, all you will need is these Twilight contact lenses and a little make up. Vampires have pale, shimmery skin – an effect you can achieve with pale foundation and a little shimmer powder. Put in the contact lenses, apply the pale make up and dress in Bellaâ€™s trademark jeans with a vest and plaid shirt. Bella has long brown hair, so you may need a wig if you are blonde. This entry was posted in Contact Lenses and tagged Blood Red Contact Lenses, Contact Lens, Halloween contact lens, halloween contact lenses, Novelty Contact Lenses, Red Contact Lenses, Red Contacts, scary contact lenses, Vampire Contact Lenses, Vampire Contacts on October 8, 2010 by Piercing Guru. Captivate and amaze with vampire contact lenses to show off your look, whether you go for full on fake fangs and nails is up to your but with some of the great designs of vampire contact lenses available you’ll look the part. 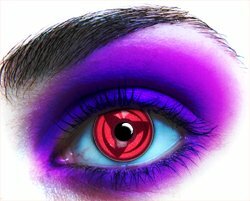 You can wear your vampire contact lenses for up to 90 days after first opening them, so they are great value for money. 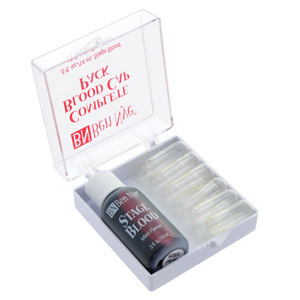 In addition to vampire contact lenses there is also a vampire contact lenses complete set which also contains a case, solution and full instructions. 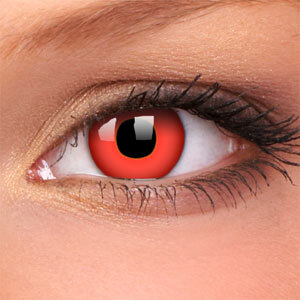 With these fetching red vampire contact lenses you can make a fright wherever you wear them. 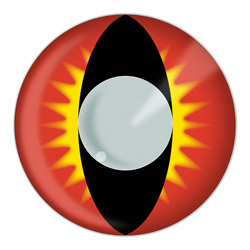 The red vampire contact lenses have a vertical black pupil, red background and yellow fiery splash around the edges of the pupil. There are currently great savings of 28% off the RRP of the red vampire contact lenses, so you can enjoy them at incredible value. You can either buy the red vampire contact lenses in a pair or as a single lens, depending on the look you are after achieving. 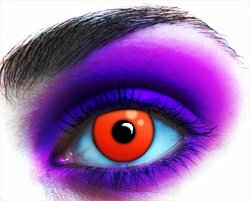 This entry was posted in Contact Lenses, Fashion Accessories and tagged colour contact lenses, halloween contact lenses, Vampire Contact Lenses on August 12, 2010 by Piercing Guru. Vampire contact lenses are sure to set your costume on fire, whether you’re dressing up for Halloween or playing a practical joke on your mates. Our frightening range of vampire contact lenses will cater for everyone’s needs, whether you’re looking for plain blood red contact lenses or something fiery and bold, these wild fire contact lenses are sure to shock your audience. Our contact lenses are very practical and can be worn by anyone. Vampire contact lenses have the fright factor, perfect for Halloween parties, festivals, fancy dress parties or just random practical jokes! Caring for your vampire contact lenses is vitally important in keeping them fresh and safe to wear for up to 12 months from the first use. Contact lens care isÂ very easy;Â just remember to store your vampire lenses in our contact lens storage case, with our contact lens solution whenever they are not being used. 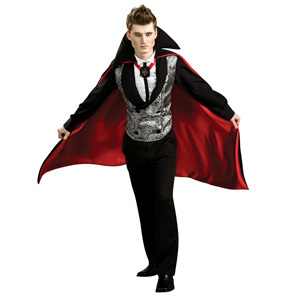 Vampire costumes can be dressed up to perfection with a range of different vampire contact lenses, we have such a grand variety to choose from; you’ll be spoilt for choice! The classic Vampire Blood Red contact lens is a bold, single colour contact lens that instantly transforms your natural eye into vibrant red. 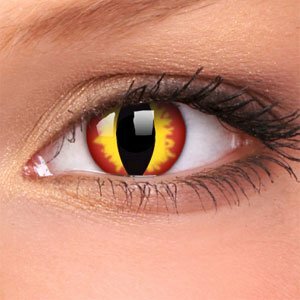 Other popular vampire lens designs include these fiery wolf eye contact lenses, the evil wild fire contact lenses or the flame contact lenses. You will notice at BodyJewelleryShop we have an extravagant range of contact lenses to suit all tastes, occasions and best of all, all budgets! Our vampire contact lenses are fantastic value for money, with single contactÂ lenses from only Â£6.99! Don’t forget to check out our full range of contact lenses to see the wide range of colours and designs available to choose from. This entry was posted in Contact Lenses and tagged Vampire Contact Lens, Vampire Contact Lenses, Vampire Contacts, Vampire Eye Lens, Vampire Eyes, Vampire Lenses on June 21, 2010 by Piercing Guru.